This May 18, 2015, file photo shows Taft Point in Yosemite National Park, California. 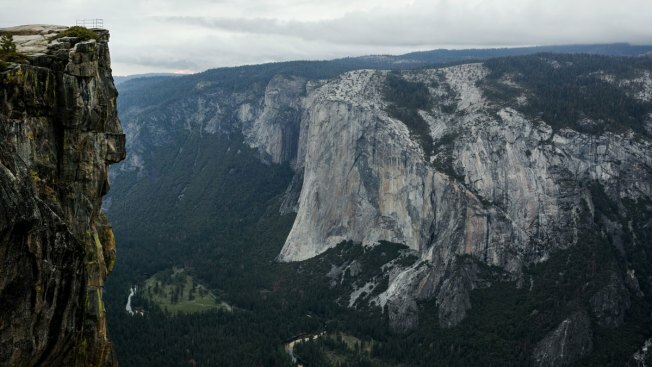 A couple who fell to their deaths from an outlook at Yosemite National Park in California in October were “intoxicated with ethyl alcohol prior to death,” according to autopsy reports. Meenakshi Moorthy, 30, and her husband, Vishnu Viswanath, 29, died of multiple injuries sustained by a fall from a mountain, wrote a forensic pathologist at the Stanislaus County Coroner’s Office, according to the San Jose Mercury News. Ethyl alcohol is found in common alcoholic beverages such as beer, wine and hard liquor. “We can only conclude that they had consumed alcohol but it is unknown to what level of intoxication,” an assistant Mariposa County coroner told the San Jose Mercury News. No drugs were present in their bodies, lab tests found.